What's the appeal of genuine Bumblebee caps? Discussion in 'Guitars in General' started by MasterEvan07, Mar 2, 2012. I've got a 1988 Les Paul coming in that I'm planning on putting a new wiring harness in simply because I prefer audio taper pots to the stock kind used in most guitars. As I've been looking around I know there are several heralded types of caps for LPs but the Bumblebee seems the most lauded. Can anyone tell me a bit more about good cap choices and options for an LP and why? most people tend to favor paper in oil. i personally try to find nos tropical fish caps, or jensen caps. i've treid those among others and they seem to do a good job as a tone control, i didn't however like the tropical fish when i did 50's wiring, it sounded divine when i made a treble bleed circuit with a metal film resistor though. Many older Bumblebees in operating electronic equipment will become leaky (basically a high resistance short) over time. If someone sells one from an old piece of equipment, and they aren't tested for leakage, it might cause the user problems. I do not know if ones not used can become leaky, or even if leakage (or what amount) can cause issues in a guitar tone circuit. the appeal is visual and nerdy. Bumblebee caps are the Cardiff Giant of the Guitar Universe. There two types of original "Bumblebee" caps - PIO and Mylar. The Gibson reissue Bumblebees are Polyester. Additionally there some vendors, such as Luxe, that are re-covering other types of caps to look like original Bumblebees. Original Bumblebees are usually chosen to keep the "vintage correctness" of a guitar, not necessarily to make it sound better, although some players find the HF roll off to sound good, especially with low-output pickups and mid-heavy vintage amps. New Bumblebees are usually chosen for the vintage "look". Another modern cap could be chosen with the same effect on sound. For years I believed that. Then recently someone pointed out that they were never PIO. I tore an old one (with the earlier "tube" lead) apart and indeed, it was not PIO. More internet myths debunked, I think. It's a matter of personal taste. Among the different caps I've tried, I do like original bumblebees the best, they have a very smooth and natural roll-off. Jensen PIOs are also great, but they have a different sound when rolled (more nasal). NOS Russian PIOs are also a very good option, and they are cheap. They are relatively similar to the Jensens in my experience. If you want good quality caps without a heavy investment, that's what I'd recommend. I've been told by R&S that these two caps are the same oil paper caps, just different wraper......I like use Gray Tiger oil caps for good clean roll off. No MUD!! If you want your R-56 or R-59 to sound like the real deal you should wire them the same way......Make sense? The guys at R&S can explain it better.......but I can tell you one thing they're very credible and do not sell snake oil. It's a cap. It bleeds signal to ground. You could make one yourself out of aluminum foil and paper and it'd sound the same if the values match. Ah, I thought that might have been what was meant by R&S. I put an RS rewire with the super pots in my Strat and was blown away by the difference in useable range. I know some argue to just use CTS audio taper pots, or that RS is snake oily or whatever...don't really care, they sound great and made all the guitars I've put them in thus far sound much better and become much more useable simply from the guitar's knobs. I imagine I'll go with an RS kit of some sort but was considering Tundra Tone drop-in's as well. Likelihood is the cost difference will dictate the ultimate decision...that and previous quality experience. I think it's a lot of malarkey. 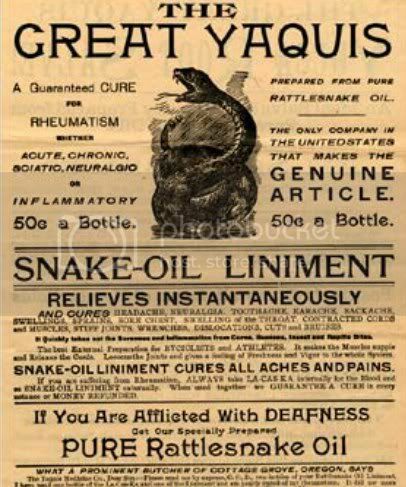 Like someone else said, it's snake oil syndrome. I hunted down an old Bumblebee cap and had it installed in my Billie Joe Les Paul Junior. I noticed very little change when adjusting the tone control. Now, I have the cache' of saying, "My Les Paul Junior has an old Bumblebee cap in it." Whoop-de-doo. I have 50's Tigers in my R4. There's a quality to the sound I like when I roll the tone controls back a little. The tone seem's less robust, thinner with less low's and mids I suppose. They seem to work in reverse until they are turned down to 3-4 then they mud up. They could be "not up to spec" or whatever. Why they sound like they do make no difference to me. If something happens to these I'd search out 50's Tigers.